Herb has been living in New York and having fun with art for over 15 years. 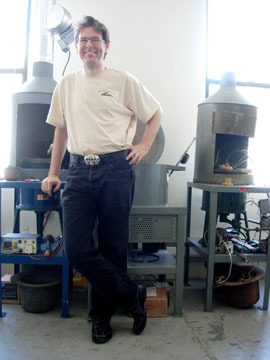 From kinetic sculptures for the Blue Man Group to industrial lamps for Runaway Bride – if he can amuse others with metal, he will. He has shot photo-ops of dignitaries at the New York Stock Exchange and photographed seeds using a nuclear reactor. Herb's work is in the permanent collection of the Cooper Hewitt National Design Museum and in galleries and shops around the country. He has helped advertising, publishing and video clients make pills, watches and fashion models look appealing. He has even starting teaching people how to cast pewter, take pinhole pictures and print cyanotype and gum bichromate prints. Now Herb is bringing you pewter snack food. The phenomenon started with a simple cracker (You can see the enthusiasm for this product at the cracker tracker). The snack food line has expanded to cheese crackers and ice cream sandwiches. The 31st President may have fed millions of people and invented the CARE package, but this POTUS has fed the imagination of thousands of people who should never take a bite of his food. Herb is also touring the show does time stand still? The phenomenon started with a simple x-ray image and grew to using a nuclear reactor as a camera, pinhole cameras, century-old printing techniques, and a love of discovery. The processes that photographers used over a century ago were not considered art. So, the photographers worked hard to find techniques that were expressive, rather than simply reproductive. Herb's gum prints use watercolors such as Winsor Newton, MaimeriBlu, and Grumbacher to render their hues. The cyanotypes use a Prussian blue derived from iron salts. The works are anachronisms combining historical processes and modern technology to explore the wonderment of our world. 2007 does time stand still? The Arts Guild of Old Forge, NY. 2007 does time stand still? Art Center at Old Forge, Old Forge, NY. 2006 does time stand still? Stone Quarry Hill Art Park, Cazenovia, NY. 2006 does time stand still? Discovery Museum, Bridgeport, CT.
2006 does time stand still? Brooklyn Botanic Garden, Brooklyn, NY. 2011 7th Annual Alternative Process Show, SOHO PhotoNew York, NY. 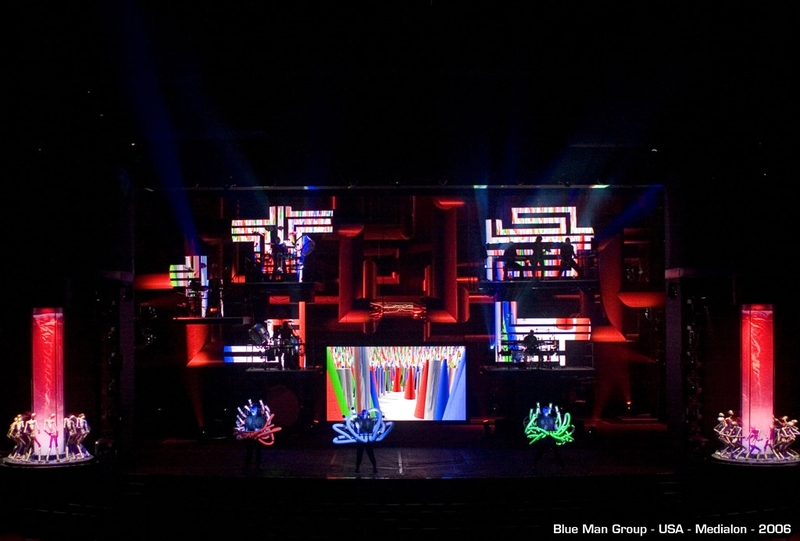 2005-present Blue Man Group, Venetian Theater, Las Vegas, NV. 2004-present Blue Man Group, Theater am Potsdamer Platz, Berlin, Germany. 2004-present Art-O-Mat, multiple cities, USA & UK. 2004-2009 Worldwide Pinhole Photography Day, www.pinholeday.org. 2007 Camera Works, Ridgefield Guild of Artists, Ridgefield, CT.
2007 Art-O-Mat 10th Anniversary Retrospective, SEED, Winston-Salem, NC. 2007 ArtAttack: Pool Art Fair, New York, NY. 2006 Mandate: A Postmortem Analysis, Gravity Lounge, Charlottesville, VA.
2006 Krappy Kamera VIII, Soho Photo, New York, NY. 2006 SECCA Art-O-Mat, Winston-Salem, NC. 2006 Technogaia Paint & Body, Pittsburgh, PA.
2005 ...And Death, Newspace Gallery, Manchester, CT.
2005 Krappy Kamera VII, Soho Photo, New York, NY. 1999-2005 Blue Man Group, Luxor Theater, Las Vegas, NV. 2004 Alternative Process I, Soho Photo, New York, NY. 2003 Gallery 360, Minneapolis, MN. 2003 Krappy Kamera V, Soho Photo, New York, NY. 2002 Memorial Show, Arts Alliance, Newark, DE. 2002 Holiday Show, Neuveau, Baltimore, MD. 1999 Benner Township Fall Festival, Bellefonte, PA.
1997 Public Works, Arts Alliance, Newark, DE. 1996 Mixing Messages, Cooper Hewitt, New York, NY. 1992-1993 Blue Man Group, Astor Place Theater, New York, NY. 1991 Earth Day Performance, Washington, DC. 1990 Kunstwollen II, Newark, DE. 1989 Kunstwollen I, Newark, DE. 1989 Red Show, Newark, DE. 2007 ART-O-MAT UNPACKED. Winston-Salem, NC: Artists in Cellophane. 2007 ART-O-MAT 10TH ANNIVERSARY. Winston-Salem, NC: Artists in Cellophane. 1998 RUNAWAY BRIDE, Paramount Pictures. IN CONTEMPORARY CULTURE. New York: Princeton Architectural. 1995 25x25. Philadelphia, PA: Print Club. 1994 25x25. Philadelphia, PA: Print Club. 1993 25x25, Philadelphia, PA: Print Club. Sapolin, Donna. "Ka-ching! You're an Art Collector." FLYP Apr. 2009. Tien, Ellen, and David Colman. "Pulse." NEW YORK TIMES 29 Nov. 2008, Sunday Style Section. "NOTABLE (IN)EDIBLES." EDIBLE MANHATTAN Nov.-Dec. 2008. "What I'm Wearing Now; The Eco-Fashionista." NEW YORK TIMES 07 Sept. 2008, Sunday Style Section. "Seven Questions." UNBEIGE. 26 Nov. 2007. "Replacing Marlboro's with Mini Monets." ABC NEWS Feb. 2007. "Impulse Buy." JANE MAGAZINE Feb. 2007. Watts, Lisa. "Selling Snack-Size Art." WINSTON-SALEM MONTHLY Jan. 2007. "This Art's Got Pull." ARRIVE: AMTRAK Nov.-Dec. 2006. Murg, Stephanie. "Thank You For Not Smoking." ARTNEWS May 2006. "Weekend Edition." NEW YORK SUN Feb. 2006. "Leisure." POP IN NEW YORK Feb. 2006. Graves, Jen. THE NEWS TRIBUNE [Tacoma, WA] 26 Oct. 2005. Spreckelsen, Von Tilman. "Dieses Loch Der Ganzen Welt." FRANKFURT ALLGEMEINE ZEITUNG 3 Jul. 2005. Jacobson, Louis. "City Lights." THE WASHINGTON CITY PAPER Mar. 2005. DeCaro, Frank. "Shhh. Hear the Surf in Midtown?" NEW YORK TIMES 29 Jun. 2000. Che, Cathay, Mileana Damjonov, Brandon Holley, and Peter Terzian. "What Gives?" TIME OUT NEW YORK Nov.-Dec. 1997. Mulhern, Nora. "Kunstwollen." THE REVIEW [Newark, DE] Dec. 1990.